Includes the names: Nicolas Meyer, Nicholas Meyer, Nicholas Meyer, Nocholas Meyer, Ncholas EdMeyer, Nicholas Meyers, ed. Nicholas Meyer, Nicholas Meyer :editor, Nicholas Edited By Meyer, edited by Nicholas Meyer ... (see complete list), Nicholas Meyer - Director, Nicholas John H: Edited By Meyer Watson, M.D.) Nicholas Editor (John H. Watson Meyer, John H. as Edited By Nicholas Meyer Watson M.D. 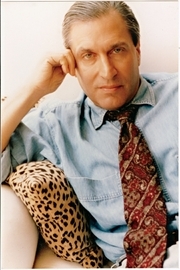 Nicholas Meyer is currently considered a "single author." If one or more works are by a distinct, homonymous authors, go ahead and split the author. Nicholas Meyer is composed of 15 names. You can examine and separate out names.